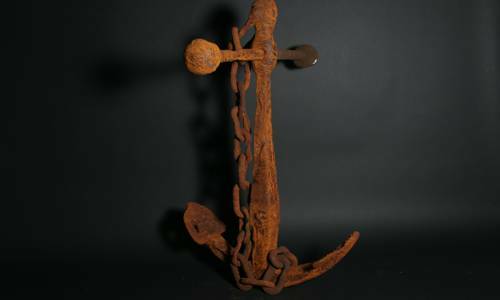 Industrial Lightweight sculptures of chain, hoists, beam engines, rocks, anchors and more. These sculptures are styled on heavy industrial iron castings including machinery, scrap iron, pipes, chains, anchors, and various lifting hoists and rocks, evoking nostalgic memories of our industrial past. 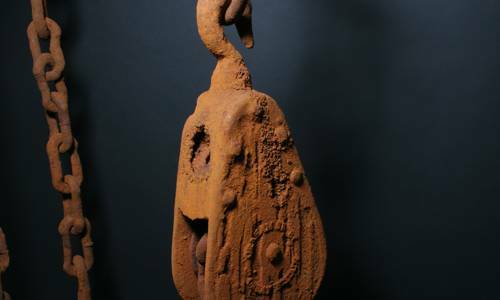 The surface of the rustlite sculptures have an authentic rusted age worn appearance, yet also incorporates a special toughened and fire retarding membrane. 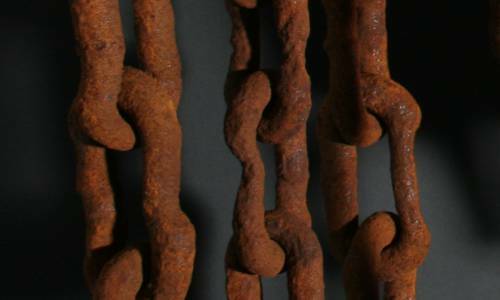 Each piece is individually sculpted, including all the links of various chains. Made from expanded polystyrene, these sulptures are very lightweight and easy to handle and suspend. 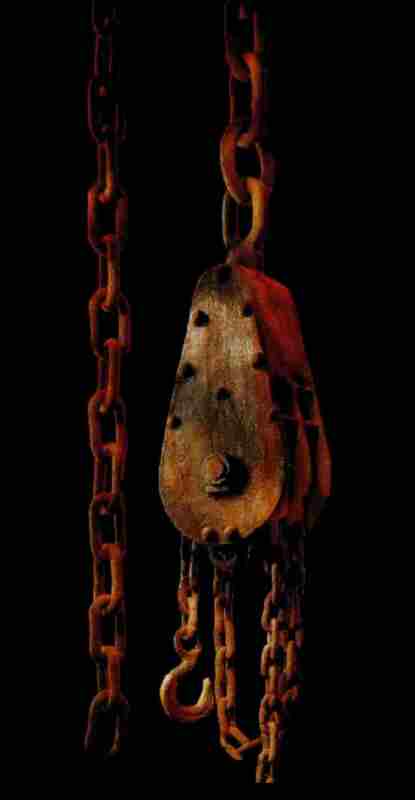 The lightweight, imitation iron chain is available in different sizes, and designs. It is possible to produce custom chain to suit your Requirements. These sculptures are available for sale and for hire. For more info, click on the images below. Every link of chain we produce is individually sculpted, to achieve the realistic quality finish of the chain.> Polystyrene chain is available in a variety os sizes and designs, from 5cm links, to over 40 cm links. Custom chain can be made espesualy to suit your needs. As well as Rustile, we can also produce imitation chain in a variety of other finishes, including iron, silver, gold, finerock and glitter. These industrial sculptures are carved from polystyrene and coated with RUSTLITE, a special rough, toughened membraine completely encapsulating the polystyrene. Selection of lightweight realistic ( imitation ) anchor props. 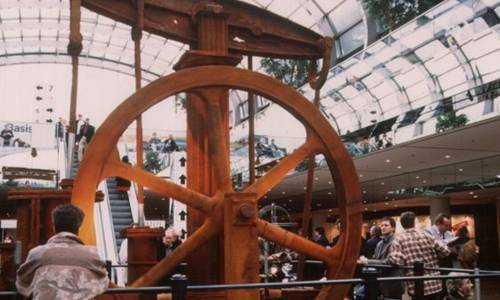 5 metre high beam engine, produced for messe dusseldorf main entrance hall for Euroshop '96. This sculpture built by Graham Sweet, has degree of artistic license - as the real machines do not continuously emit steam as portrayed, neither do they rust readily. 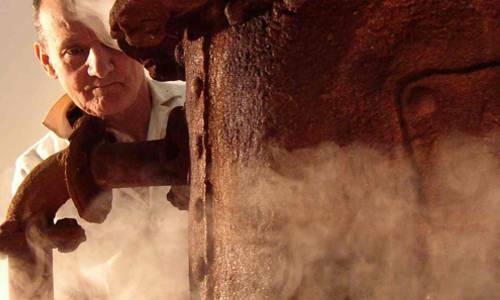 As well as our standard props and sculptures, we have a selection of other props including boilers, pipes, nuts and bolts and more. 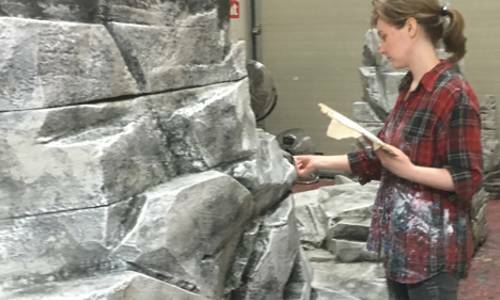 We have a selection of standard rock finishes, and can produce the lightweight rock props any size you need. Bespoke finishes are also available.